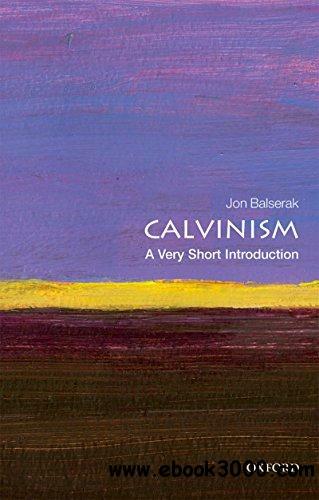 In this Very Short Introduction, Jon Balserak explores major ideas associated with the Calvinist system of thought. Beginning during the Protestant Reformation in cities like Zurich, Geneva, and Basel, Calvinism - also known as Reformed Theology - spread rapidly throughout Europe and the New World, eventually making its way to the African Continent and the East. Balserak examines how Calvinist thought and practice spread and took root, helping shape church and society. Much of contemporary thought, especially western thought, on everything from theology to civil government, economics, the arts, work and leisure, education, and the family has been influenced by Calvinism. Balserak explores this influence. He also examines common misconceptions and objections to Calvinism, and sets forth a Calvinist understanding of God, the world, humankind, and the meaning of life. The work concludes with a chronology of important events and an extensive bibliography for further reading.